Thai Massage Courses and workshops - Start your career in wellness with us! Activating all circulatory systems in your body ( blood, lymphatic & energetic). Increasing your flexibility and joint mobility. Reducing stress levels by supporting a release of endorphins. Holding a safe space to express whatever is needed. We strongly believe that prevention is the key to long and healthy life! Thai Massage is a unique and powerful healing art that has been an integral part of traditional Thai medicine for thousands of years. It is a truly wonderful experience for both giver and receiver. Energy blockages are released, boundaries dissolve and deep healing occurs in a space of full presence and meditation. A Thai massage session blends elements of acupressure, yoga, reflexology, physiotherapy, meditation, energy healing, chiropractic and Ayurveda. It's a very Holistic therapy where the human being is seen and treated as an ever-changing network of physical, mental, emotional and spiritual aspects that all influence each other. It´s primary aim is to restore and balance the body’s energy system which is comprised of a multitude of energy lines that run through the body. It is an ancestral treatment that is part of traditional Thai medicine. By using a set of wooden tools that tap the energy lines on the body, combines pressure, vibration, rhythm and sound, producing a soothing effect on the patient's body and mind. It is located halfway between sound therapy and acupressure. It is a safe and relaxing therapy, nothing painful. It is indicated for general relaxation, anxiety or insomnia disorders. Balinese massage is a full-body, deep-tissue, holistic treatment. It uses a combination of gentle stretches, acupressure, reflexology, and aromatherapy to stimulate the flow of blood, oxygen and "qi" (energy) around your body, and bring a sense of wellbeing, calm and deep relaxation. Individual sessions, please check our current location!  © Evasion Thai Yoga, All rights to the images and texts reserved.